No one knows what makes Green River melons so delectable: the altitude of 4,010 feet, the hot days and cool nights, or the seeds they grow from. 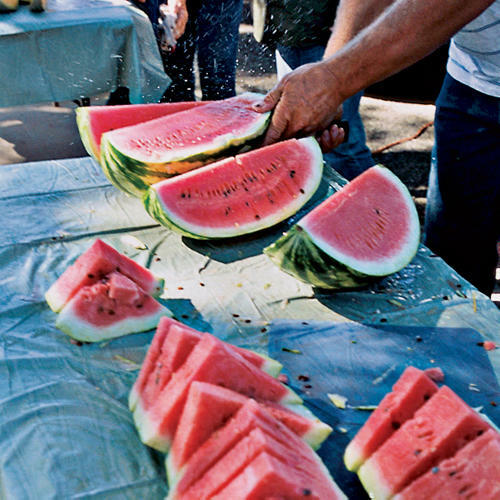 But from late July through the first frost of fall, four local growers turn this small farm town into Utah’s melon mecca, with stands appearing throughout town, including at gas stations and the coin-operated laundry. The season peaks in September ― when the cantaloupes, watermelons, casabas, honeydews, and canary melons are at their juiciest ― and is celebrated with Melon Days.